This is not glued up yet. 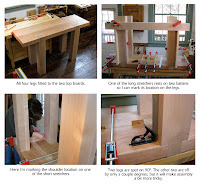 After fitting all four legs to the two top boards, I set my sights on the stretchers. Each of the two end assemblies will be made up of two legs and two short stretchers. The pieces will be fox wedged, glued, and pinned with dowels. I don't want these guys to come apart. 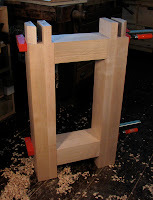 The long stretchers will be connected to the end assemblies with tusk tenons which might wiggle loose after a lot of handplaning, so I want to be sure the end assemblies are rigid. 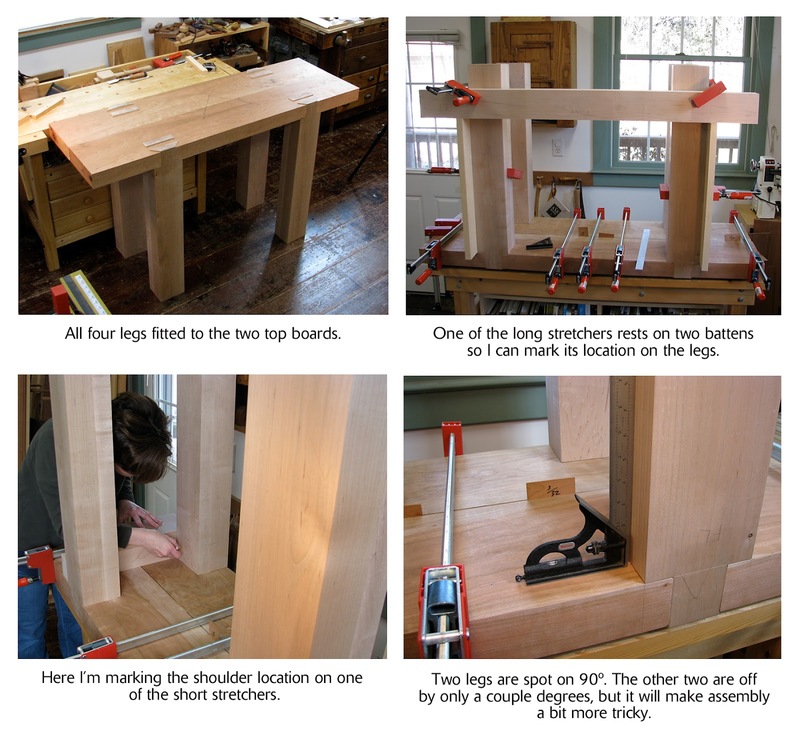 I took a page from Chris Schwarz' Workbench Design Book to determine the location of the stretchers. 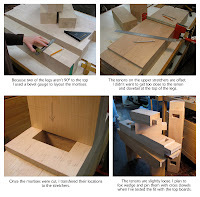 First, I rested the top boards and legs upside-down on a work surface. Then I cut support boards to equal length, clamped them to the legs, and took turns laying each of the stretchers on top of them. This ensured that the stretchers were parallel to the top and enabled me to mark their location on the legs. 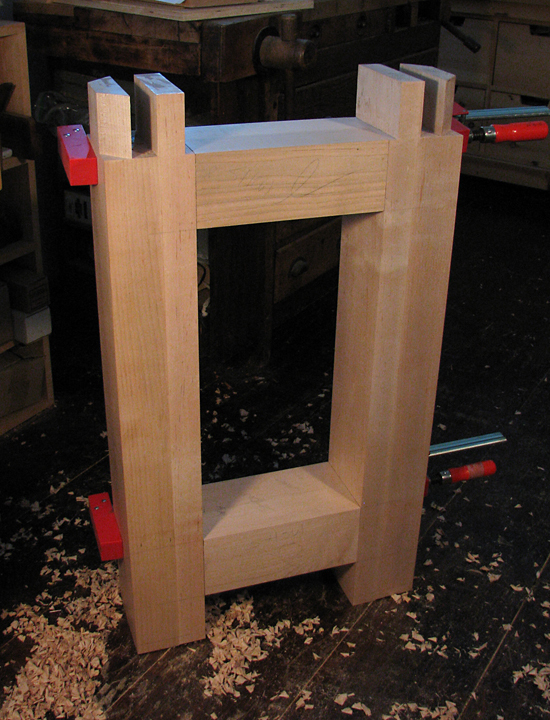 After that, I laid out and chopped the mortises, cut the matching tenons, and fit one end assembly together. I'll cut and fit the other assembly and then start working on the long stretchers. I'm still calling this a transportable bench even though the end assemblies require one large man who works out on a regular basis or two middle-aged ladies to lift them.